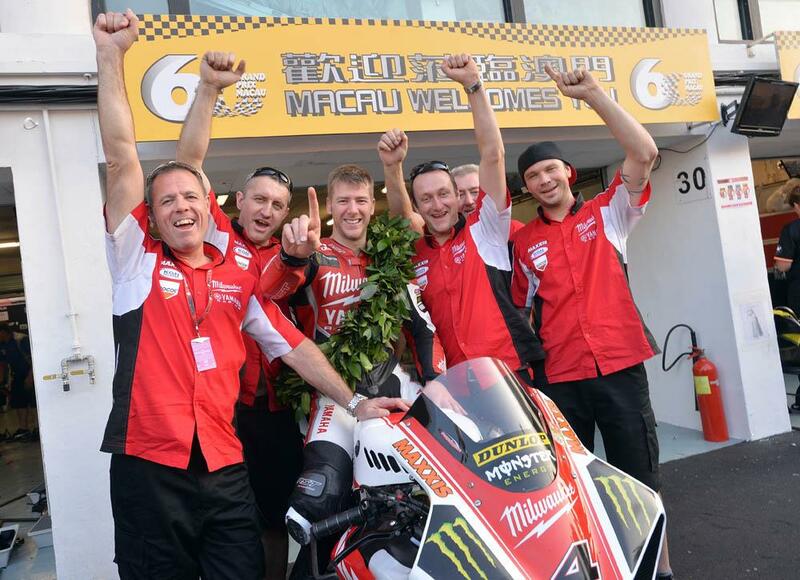 Power tool manufacturer Milwaukee issued a statement late on Monday night withdrawing claims they had made regarding Honda’s involvement in the change of technical regulations introduced for the 2014 TT. TT bosses have introduced new rules that will bring them in line with current BSB regulations by introducing a controlled ECU. They have phased the option over two years, allowing manufacturer kit ECUs alongside the control Motec system for 2014, but Yamaha have argued that removing the option of their current Magneti Marelli system would leave their R1 machines uncompetitive. After talks between Milwaukkee and TT bosses failed to find a solution Milwaukee announced they were withdrawing sponsorship of the SMR Yamaha team at the TT, leaving Ian Hutchinson and Josh Brookes without machinery.